The finest pure raw natural wildflower honey in Michigan. 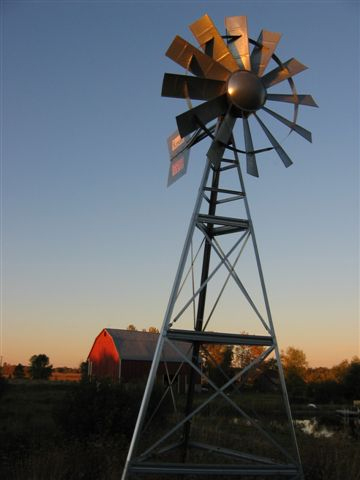 Windmill Hill Farm is located in the thumb of Michigan. Our apiary produces all natural honey and other bee products. These products come exclusively from the wild flowers of southeast Michigan. The honey is warmed and strained but never heated or filtered. 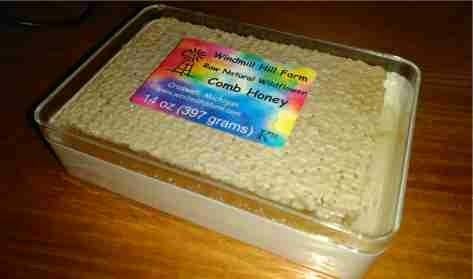 This 14 ounce rectangle of comb honey comes in an attractive jewl case. It's a mild honey just as the bees made it withoug any processing what so ever. There's nothing more natural!! Also known as raw, white or whipped honey. It is made by carefully controlling the crystallization process. It's the same raw natural honey we sell in liquid form; nothing is added. The end product is smooth with the consistency of peanut butter and can be used as a spread. 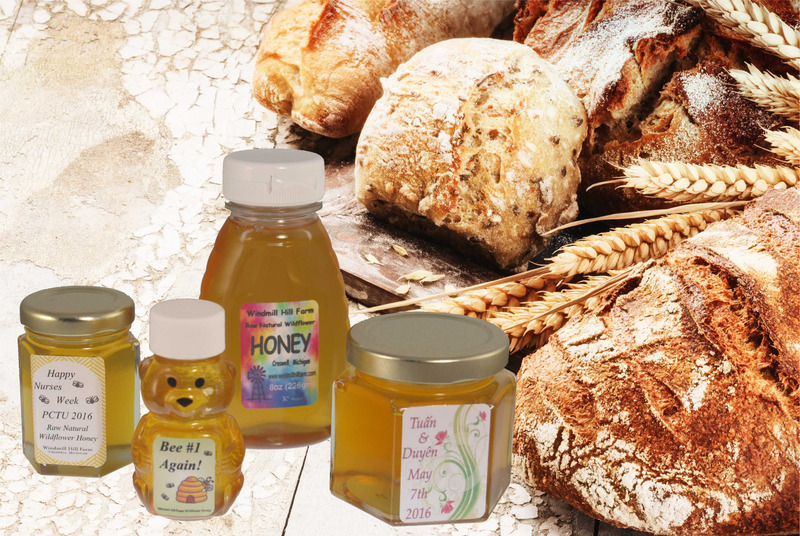 We sell the best honey on the web for the lowest price!! This is pure raw honey from the nektar sources of the thumb of Micigan. Never heated or filtered. Bears, skeps, jugs, jars and pails! Windmill Hill Farm began operation in 2000 and is owned and operated by Don and Carol Ragan. We’ve grown from a few hives to over 1300; that makes us a small commercial apiary. 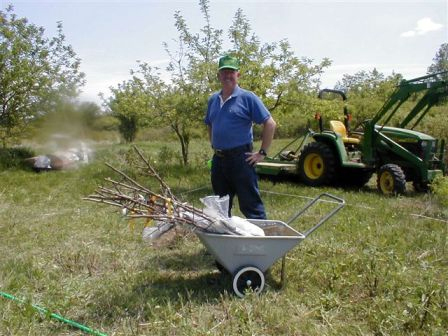 We manage over 40 bee yards which are hosted by our friends and neighbors throughout the county. We also process, package and sell all our own product. We produce honey and wax exclusively. We also rent our hives over the winter to pollinate the almonds in California. 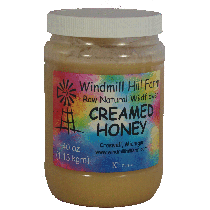 Windmill Hill Farm produces only wildflower honey exclusively from the thumb of Michigan. 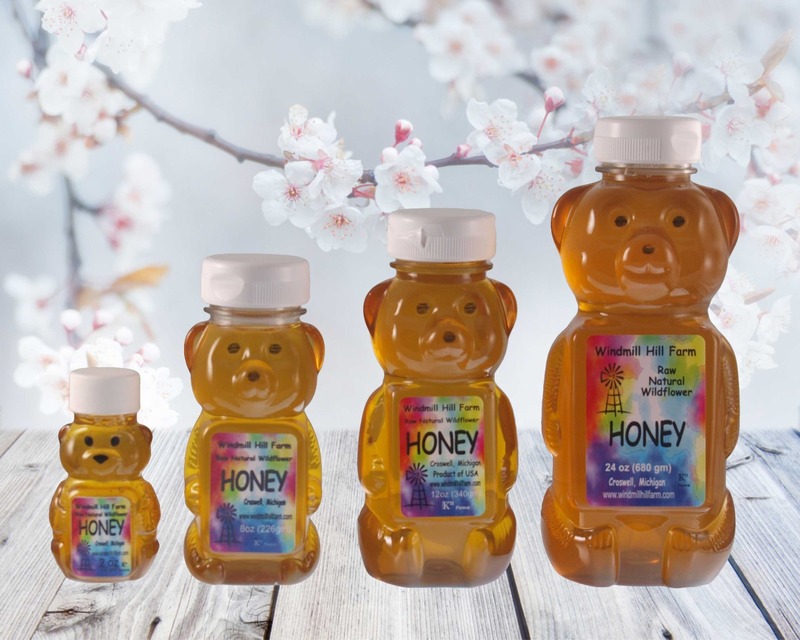 Because Michigan has such a wide variety of nectar sources our honey has a flavorful full bodied taste that makes it a favorite as a table honey, for cooking and for mead & beer making. We sell no varietal honey since Manuka trees, orange trees, sage bushes etc. don’t grow in Michigan. We sell every size imaginable from 2 oz. bears to 5 gallon pails; see our Store for a complete selection. We’re not only proud of the flavor of our honey but of our clean and natural processing environment. We’re a Michigan licensed honey house. 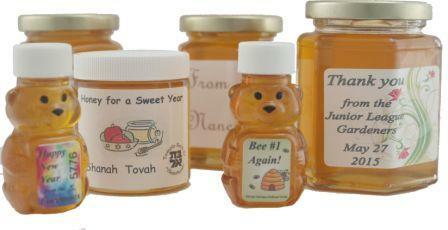 Our honey is Kosher cetified (Rabbi Jason Miller, www. koshermichigan.com). We use the minimum possible chemicals in the care of our bees; the honey has been tested for pesticide residue. Our honey is raw unfiltered and unpasteurized. Windmill Hill Farm moved over 900 hives (2016) to California for almond pollination in February.